3.5	stars -	"Review for Makers Mark Kentucky Bourbon 46" Dale Carter This Makers Mark Kentucky Bourbon 46 is the best Bourbon I have tried. 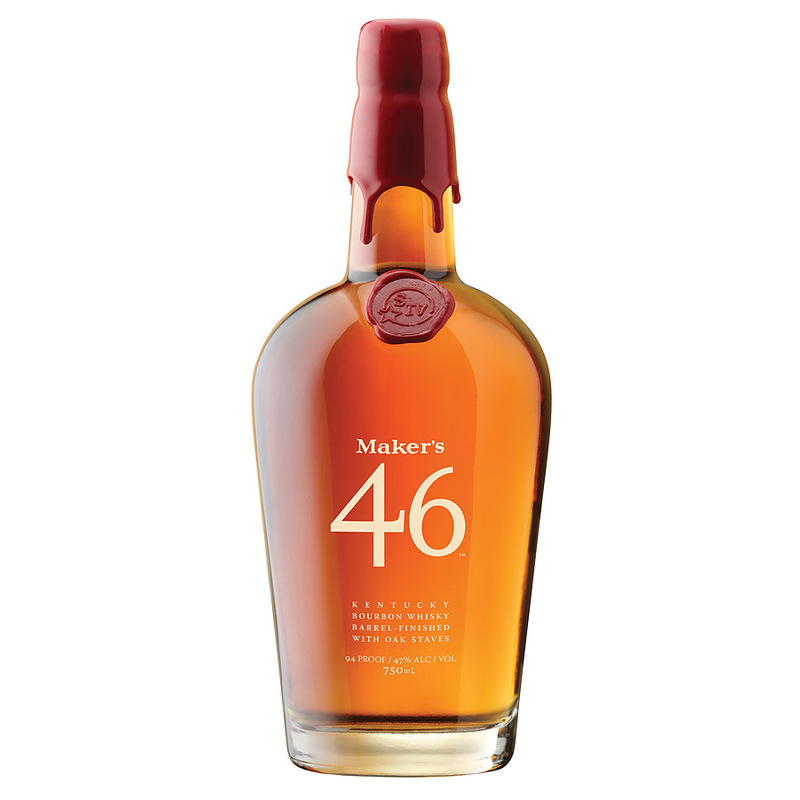 The first line extension to the Maker's Mark range since the '50s, Maker's 46 is essentially the standard expression with added spice. This was not intended to compete with the core expression, instead it's a cousin to it, something different for those that like spicy bourbon. They add this extra dimension by inserting seared French oak staves into the barrels (with the stave profile "number 46" - thus the name). It's utterly stunning. Nose: Toffee sweetness and the saw dust from freshly cut wood. Has a very toasty aroma, with sweet spices and deep, thick caramel. Palate: Creamy and very soft. Then it opens up, in fact it explodes with spiciness which concentrates on the tip of the tongue. It’s on nutmeg, mulled wine spices, allspice, cinnamon. Also a hint of hot apple juice. Kevin remarks that it’s not unlike the cinnamon flavoured gum, “Big Red” – we’ve literally no idea what Big Red is, but it sounds really manly. Finish: A natural progression of the palate with the sweet spices and it concentrates on the tongue – this may be one of the few times you’ll notice a concentration of sweetness like this from a bourbon. It also becomes grassy after a minute or so.